Are you organising a press event or unique corporate team building event? We know how much people appreciate a new experience through our popular kimono parties, We think this cultural event will be a fantastic opportunity to broaden the team’s mind and strengthen your team spirit, whilst enjoying a fascinating Japanese tea ceremony. Please get in touch to see how we can customise the activity into what you are looking for. We also have some men’s kimonos. Be inspired by learning and getting dressed in kimono all by yourself under the guidance. If you think it’s a dressing gown and easy to put on, you’re wrong. Your team will learn a ritual of all the details and steps. Additionally, get them let their hair down at a photobooth session with some props to keep their memory by printing out the photo stickers. 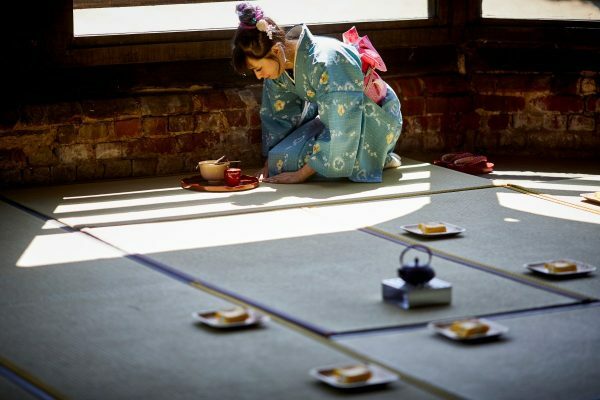 The Japanese tea ceremony, ‘Sado’ – the way of tea is a path of the integration and peace. It’s about connecting all kinds of people without exception. It’s an essential way to be if we want to live in harmony with nature and each other. Sado is also a discipline, study that involves many years, a life time practice that includes four principles of tea, respect, purity, harmony and tranquility as well as a zen aesthetic of the tea. We will set up the demonstration area to perform a Tray temae (bondemae). 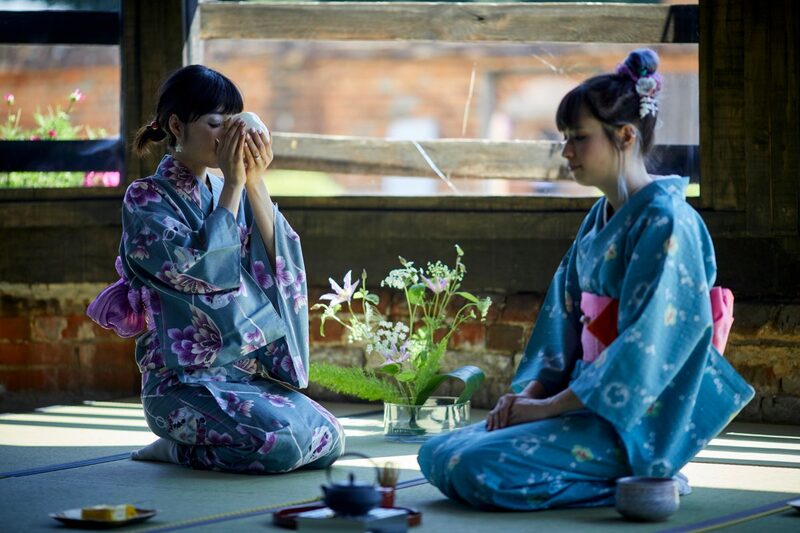 The guests will be mesmerised by the calm rituals of the tea making, practice mindfulness and learn the fascinating history of Japanese tea ceremony whilst enjoying their tea and sweets. In the wonderfully relaxing atmosphere, the guests will learn the whole philosophy of the tea ceremony. Under the guidance of the tea masters, all the guests will learn how to drink Japanese matcha tea. We can also style the event with decorations. We can also incorporate with kimono element in the workshop. 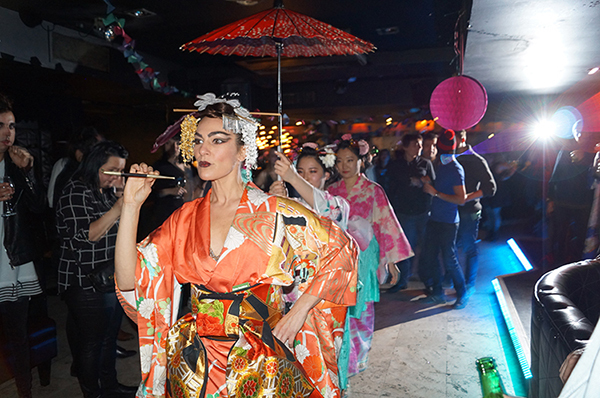 Do you want to learn how you can gracefully move your hands and dance like a Geisha? 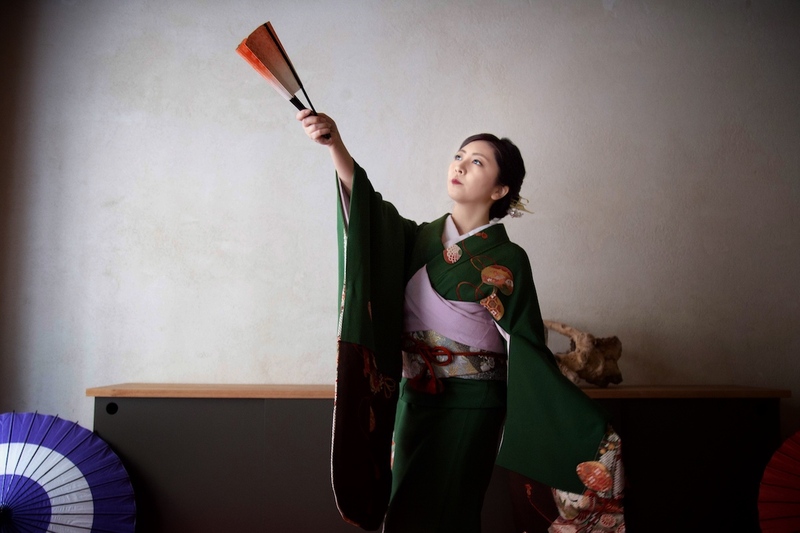 Learn the traditional Japanese dance, a performing art that mixes dance and pantomime, which developed in the early Edo period. 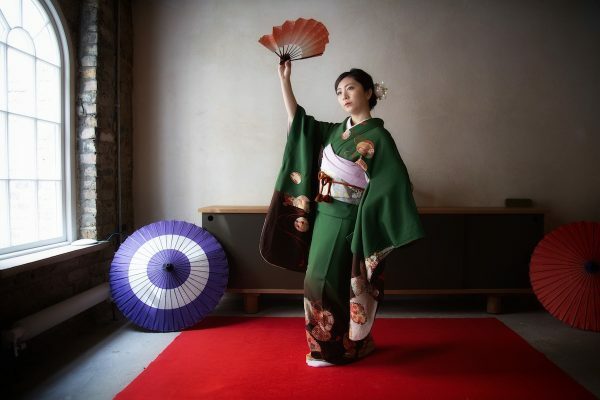 It refers to a few dance genres such as kabuki buyō performed in theatre, and Kamigata mai that encompasses the style of dancing performed by Geisha. You’ll get to learn the basic posture, how to gracefully move and how to gently twist your fan in the air to emulate the falling of cherry blossoms. Towards the end of the lesson, pretend that you are a Geisha and perform a dance together. It will be a rare opportunity that you will get to see the Nichibu dancer performing right in front of you. 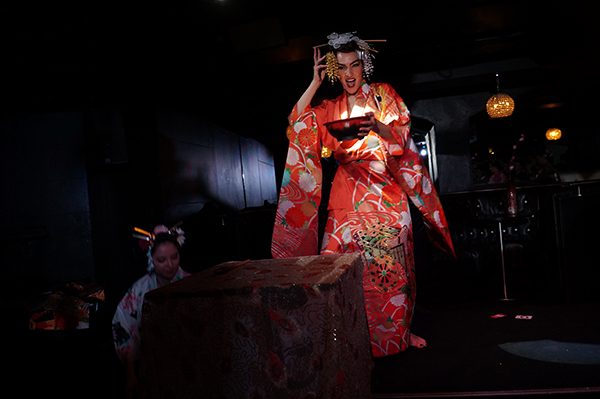 We bring you a kimono burlesque show with gorgeous and unique Japanese twist. We collaborate with a highly acclaimed burlesque performer, Beti, who won the Best International Burlesque Performer in the World Burlesque Games 2015. With her expertise and skills, she can adopt her routine into any act with surprises and sparkles. You and your staff or guests will be purely entertained and mesmerised with the elaborate costumes and the act that they’ve never seen before. We also have the largest stock of kimono in the UK and we can offer you the activity using them. 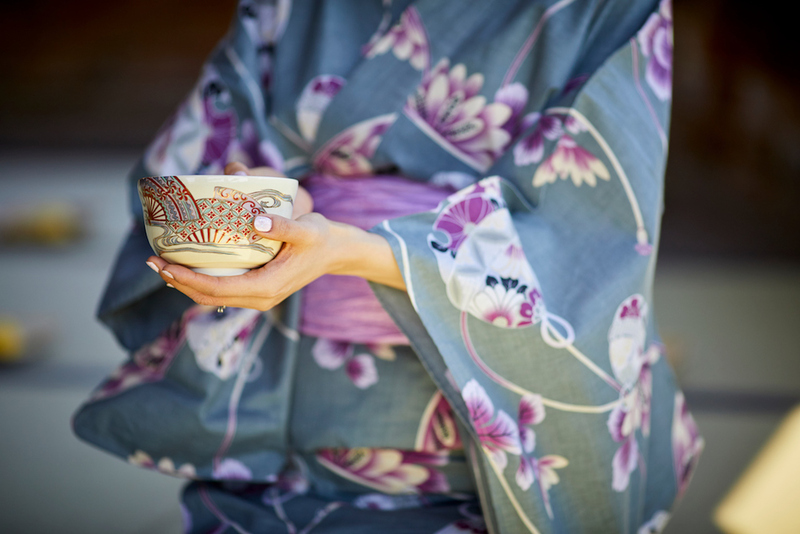 Enjoy a wonderful selection of delicious fine sakes and learn about them. You will be able to learn and taste the range of 4 sake to taste the sake spectrum; sparkling, floral & fruity, rich & earth, warm, chilled and sweet! All sake are carefully handpicked by sake sommelier Natsuki, who is selected as SAKE SAMURAI by the junior council for the Japan Sake Brewers Association (2015), and each sake represents different region and geography of Japan which makes sake unique to one another. 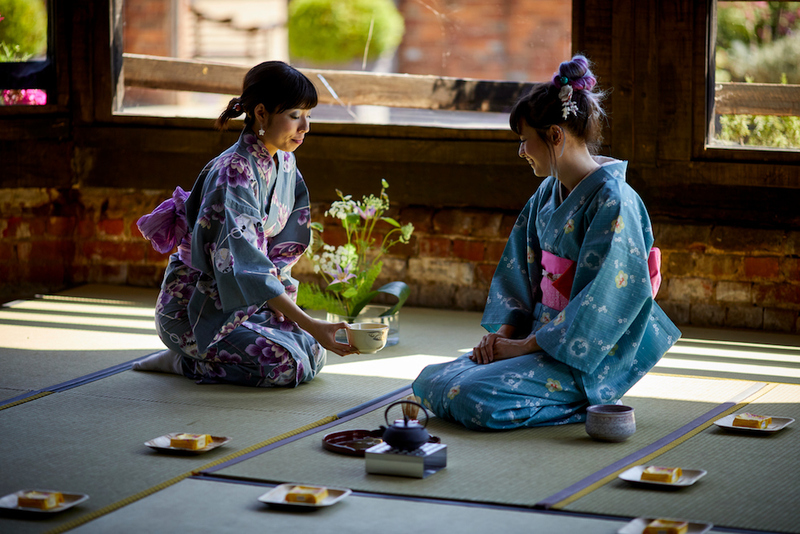 We are the first ever company to provide event planning service for Japanese themed Kimono parties in the UK. We aspire to inspire people though diversity of kimono, Japan and it’s culture through our unique vision. If you want to make your event truly memorable, we can also plan a bespoke event to reflect your company, just get in touch and see what our creative minds can show you.